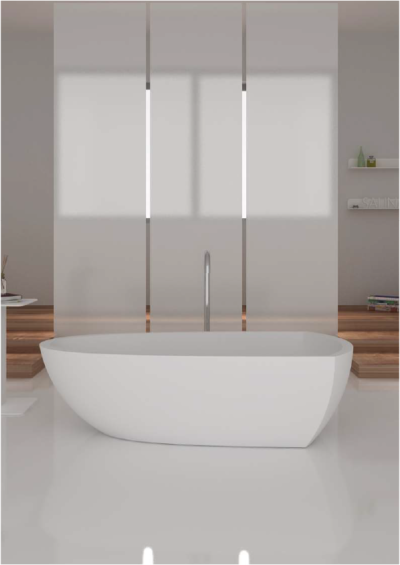 Slide comfortably into the kingly freestanding bathtub with an asymmetrical design that functions as a backrest. 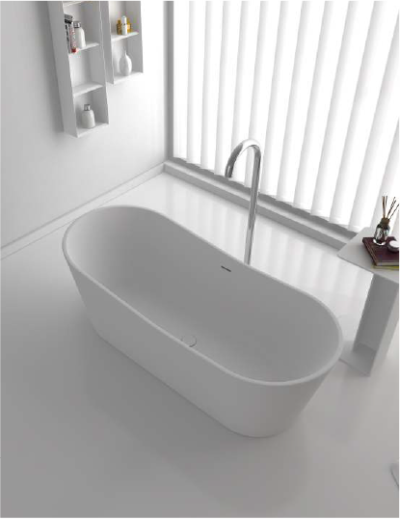 This bathtub has plenty of space for you to enjoy. 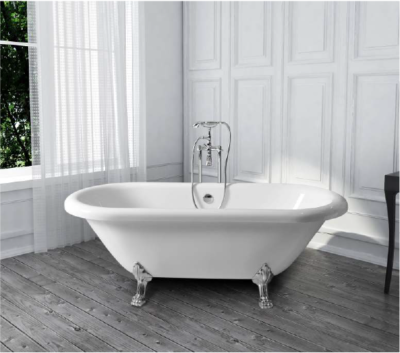 In addition, this is the perfect addition to any bathroom design. 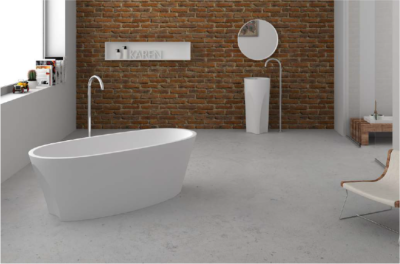 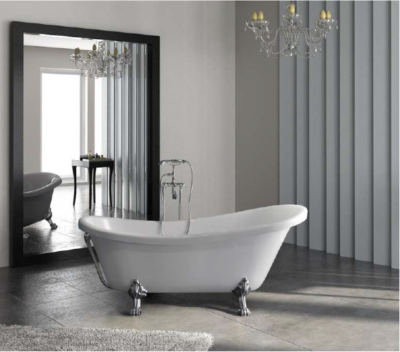 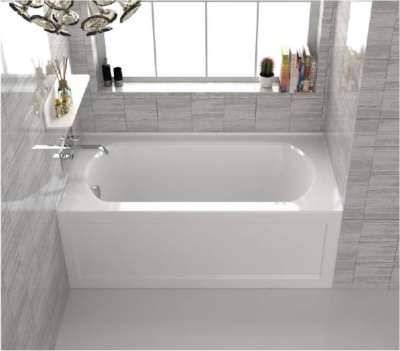 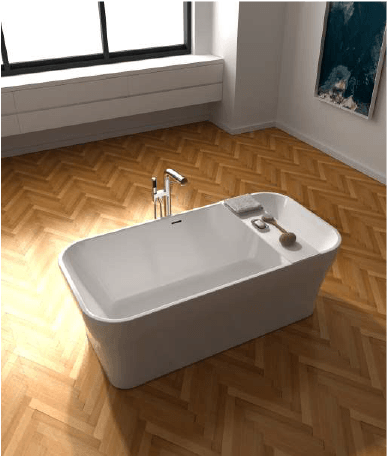 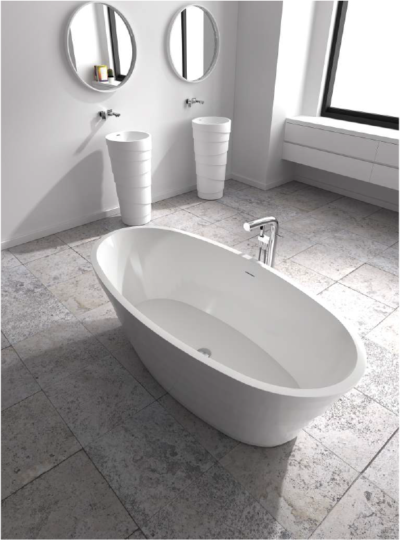 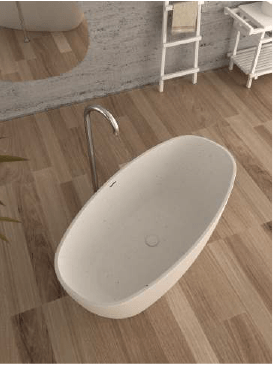 Wash away stress and tension as you submerge into this beautifully contemporary freestanding tub. 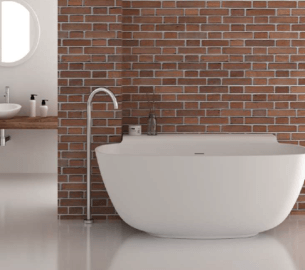 Freestanding construction. 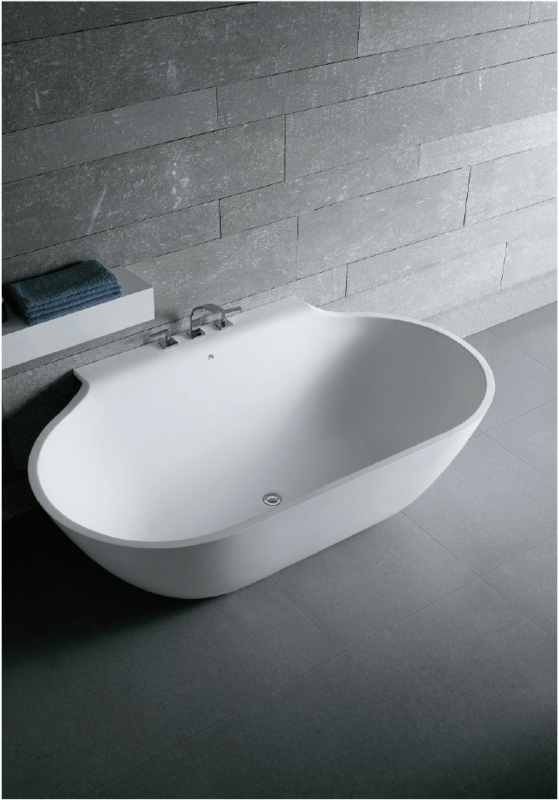 Features flat bottom.